Students in America sleep less than 7 hours on average. This is obviously not enough. Not only does it affect their health but also influences their academic success. Sleep-deprived college students are less attentive and find it hard to concentrate on their studies. By simply taking control over your sleep regime and adopting some healthy sleep habits you can change the situation drastically. Today, we are going to look at the main sleep hygiene aspects and see how they can help you boost your academic performance. What Exactly Is Sleep Hygiene? Sadly, sleep is oftentimes neglected by college students, despite the fact that it directly influences their health and academic performance. Many college kids sacrifice those precious sleep hours to study (and to party occasionally). And they have to pay the price. Many serious sleep issues (like insomnia, for instance) are actually caused by having bad habits. But even if we put the health aspect aside, bad sleep habits are still destructive in terms of academic success. constant need for stimulants (like caffeine, for example). Students who don’t get enough sleep have lower GPAs. Sleep-deprived college kids experience daytime sleepiness, which makes it hard for them to be attentive during their classes. Sleep deprivation negatively influences the ability to concentrate. Students who don’t sleep well are generally very irritable, which can lead to unpleasant situations in class (with professors and other students). Sleep-deprived students oftentimes don’t look presentable, which might influence their grades. Not getting enough sleep can decrease your long-term memory abilities. Sleep-deprived students might have weak immune systems, which leads to more frequent illnesses and, as a consequence, missed classes. Additionally, the performance in class gets affected too. Do you know how many students fall asleep during their studies? 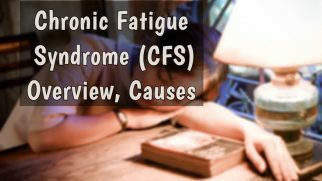 The list can go on since different people may experience some additional symptoms, which, consequently, will lead to other issues and challenges in school. What you should know is that a healthy sleep hygiene can help you avoid all those unpleasant consequences. Sleep hygiene implies all the habits, rituals, norms, and behaviors linked to sleep, which a person follows. For instance, pulling regular all-nighters (which college students often do) is considered poor sleep hygiene. Many people underestimate the importance of healthy sleep hygiene. However, when adopting a good, healthy sleep hygiene, you can improve your sleep quality tremendously even if you are currently suffering from insomnia. A good sleep hygiene can help you enjoy a more restful and healthier sleep. This, consequently, can have a positive effect on your well-being and academic performance. Establishing a good sleep hygiene takes time and multiple steps. You can try combining them or test separate ones to see how they work for you. Just remember that you need to be consistent. Creating healthy sleep habits will drastically improve your life, so we highly recommend you take the following pieces of advice seriously. Go to bed at the same time every night. This will help you set a routine your body will get accustomed to with time. As a result, you will naturally feel sleepy when it’s time for bed. And this means you will be able to get enough hours of sleep every night. Establish a fixed awakening time. Just like the previous method, this one will help your body get used to a specific routine. It will adapt and learn to fall asleep on time and wake up when needed. Even if you wake up during the night (which happens frequently when you don’t yet have a stable sleep routine), you still need to wake up at the same time every day. Only this way you will create a healthy sleep habit. Figure out how much sleep you need exactly. Once you learn yourself and how much rest your body needs every night, it will be easier for you to establish a proper sleep regimen. On average, people need around 7-7.5 hours of sleep every night. However, each person is different. 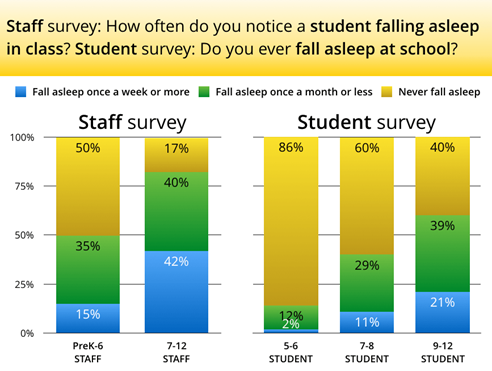 Some students feel perfectly fine after having only 6 hours of sleep, others require more than 8 hours to feel well-rested and energized in the morning. So, listen to yourself and try to notice how you feel every morning after having different amounts of sleep. Once you figure out the optimal time, it will be easier to create a sleep schedule and stick to it. Don’t force yourself to sleep. Sleeping when you’re actually sleepy is probably the healthiest way. Forcing yourself to sleep – not so much. In fact, when ordering yourself to sleep, your brain might do just the opposite and keep you wide awake. So, if you feel like you cannot fall asleep, don’t be too harsh on yourself. Try to distract by thinking about something else or even get out of bed and do some (preferably boring or monotone) activities. Limit your daytime naps. Taking long naps can mess up your whole regime, so try to limit them to 30 minutes, tops. Your bed should be for sleeping only. When using your bed to do homework or to work on the laptop, your brain will think that this is a working zone too. So, dedicate your bed to sleep and nothing else, and your brain will make a connection between that place and sleep. Chances are, you will start falling asleep quicker. Make your room dark. You can invest in thick, dark curtains or use a sleep mask. This way, your brain will get the signal that the sun is down and it is time to sleep, which will help you drift off easier. Keep your bedroom clean. Sleeping in a dirty, clustered environment isn’t the comfiest experience. Also, change your sheets regularly. It’s easier to relax when lying on fresh sheets in a nice clean room. Try aromatherapy. This little trick can help you create a better sleeping environment and relax more, which results in better sleep quality. Lavender, jasmine, rose, sandalwood and other essential oils are great for relaxation. Invest in a comfortable mattress and pillow. If your bed isn’t comfortable, you will not be able to sleep well in it. Investing in a good mattress and a proper pillow will do two things: keep your spine healthy and help you relax and sleep better. Control the temperature (if your room has a thermostat and allows for it). Keeping your room pleasantly cool (around 65-70 F) is beneficial for your health and can actually help you sleep through the night. Find a quiet place or use white noise. You shouldn’t be disturbed when sleeping, so you need to make sure that your environment is quiet. If you have talkative roommates or noisy neighbors, you can use earplugs. Blocking the outside sounds with the help of a white noise app is a good alternative. Nature sounds are great for relaxation, so consider this option too. Meditate before bed. Calm breathing and meditation help your body wind down after a long stressful day and prepare for bed. Additionally, meditation can help you become more focused, which will positively reflect on your academic performance. Read. This activity before bed has tons of benefits, including improved sleep quality and memory. It can also help you relax and distract yourself from your regular stressful thoughts concerning the day ahead. Try to avoid stressful encounters and potentially upsetting conversations before bed. This rule may be difficult to follow but it’s crucial if you want to establish a healthy sleep hygiene. Your evening needs to be relaxing, so potentially stressful activities should not be a part of it. Warn your friends that you’re staying in, limit social media before bed, and you will be able to remain calm in the evening. Take a walk. Spending time in the fresh air can make you sleepy. It can also help you relax, especially if you take a walk in the evening somewhere around nature (in the park, for instance). And it gets better: taking long walks regularly (for at least 30 minutes) will improve your overall health, which is a very nice bonus. Exercise regularly during the day. Not only does it make you stronger and healthier but also tires your body and prepares it for bed. Regular exercise increases the amount of time you spend in deep sleep, which results in a more restful sleep overall. Additionally, such an activity reduces the stress levels and even relieves anxiety, which is also great for your healthy sleep regimen. Try yoga. Even though this is a form of exercise, it’s a special kind. Yoga can help you relax, calm your mind, relieve stress levels, and fight insomnia. It’s a great way to finish your day and calm yourself down before bed. Just make sure you pick a calmer yoga routine and nothing too energizing. Simple flexing poses and slow flows will be perfect for your evening ritual. You can even try a couple of poses in your bed, for instance, child’s pose. Enjoy some sunshine during the day. You don’t even have to be super active physically, but simply getting out of your room and spending some time in the sun can benefit your sleep quality greatly. The thing is, sunshine helps your body maintain its circadian rhythms. When you receive a lot of natural light, your brain stays in tune with its regular day-night cycles. It associates light with day and darkness with the need to fall asleep. Avoid caffeine. It’s a brain stimulant, which means it will keep your senses alerted and your body awake. It also induces adrenaline production and blocks the sleep-inducing brain chemicals. Obviously, the properties of caffeine are directly linked to sleep issues. That’s why it’s better to avoid this stimulant before bed and leave it for mornings. Don’t eat too much before bed. When your stomach feels heavy, it’s more difficult to fall asleep. 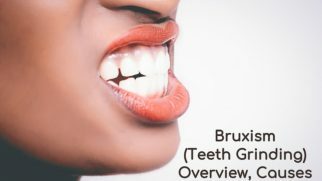 Additionally, it can result in some digestion problems, and you don’t need them at all. Don’t go to bed hungry either. Feeling hungry when trying to sleep is distracting and uncomfortable. You will be tossing and turning, that’s for sure. And even if you manage to fall asleep with an empty stomach, your sleep still will not be that deep and restorative since your empty stomach will keep your brain alert. So, try to eat a light dinner or get a snack before bed. Avoid alcohol. Overall, alcohol isn’t the healthiest stimulant. But when you drink it before bed, things get even more complicated. It is able to mess up your circadian rhythms and sleep-wake cycles during the night, reduce melatonin production, and make your sleep less restful. Even though alcohol can make you feel sleepy (which it does to many people), it does not actually help you sleep better. Have a bath or a warm shower before bed. This can help you relax before bed. Additionally, once your brain gets used to such a routine, it will know that bath/shower means it’s time to prepare for sleep. This, consequently, will allow you to fall asleep faster. Listen to soft music. This is probably the safest sleep aid you can find. Relaxing music can help you drift off, calm down, and sleep better overall. The thing is, calm music can actually slow your breathing down (and even your heart rate). And this is exactly what happens to your body when you are falling asleep. So, music makes your body feel like it’s drifting off, which helps you fall asleep faster and promotes more restorative nights. Have a beauty ritual. Now, this method doesn’t work for everyone, but it’s definitely worth trying. You see, when you have a beauty ritual (like doing a face mask or following a couple of steps of moisturizing your skin), it can be very soothing and even comforting. Again, when being followed regularly, such a routine can signal your body that it’s time for bed and can help it relax more. Breathing exercises. This ritual does a couple of helpful things. Firstly, it quiets the mind since it works like a meditation. Secondly, breathing exercises calm the central nervous system down, which helps your body relax, fall asleep faster, and sleep all through the night. Turn all electronics off. Numerous students use gadgets before bed, whether it’s to read important emails or catch up on social media updates. However, this is actually an example of a bad sleep hygiene. Electronic devices eliminate the blue light, which our brain interprets as daylight and, consequently, alerts the body (forces it to stay awake since it’s daytime). Additionally, using gadgets before bed can mess up your internal clock and sleep cycles, suppress the production of melatonin, and reduce the amount of deep sleep that you get. As a result, you don’t feel rested in the morning and mess up your sleep regimen. While all the previously mentioned sleep hygiene tips and methods are effective, they might work differently for different people. We are all unique, have different bodies, and live in different environments and circumstances. Therefore, it is important to try various strategies to find what would work great for you particularly. To do that, tracking your progress and monitoring your sleep regime is highly advised. We have created a special workbook (free!) to help you here. It includes various sleep rituals and behaviors, so you can have an effective sleep tracking system. This will allow you to easily find which of the aforementioned strategies (and combinations of them) can really help you improve the quality of your sleep. Download the free workbook here! Healthy sleep is beneficial for different aspects of your life, including your academic success. By following some simple rules and establishing a good sleep regimen, you can do both – improve your health and boost your academic performance. Take the first steps today and start changing your life for the better! https://www.psychologytoday.com/us/blog/between-you-and-me/201307/your-sleep-cycle-revealed – The sleep cycles we go through during the night by Amie M. Gordon, Ph.D., a postdoctoral scholar in Social-Personality Psychology at the University of California, Berkeley. 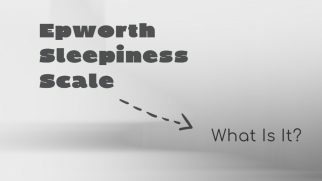 https://www.sleepscienceclinic.com/5-sleep-stages-explained-happens-youre-asleep/ – More info on the sleep stages and what happens to our bodies during each of them. 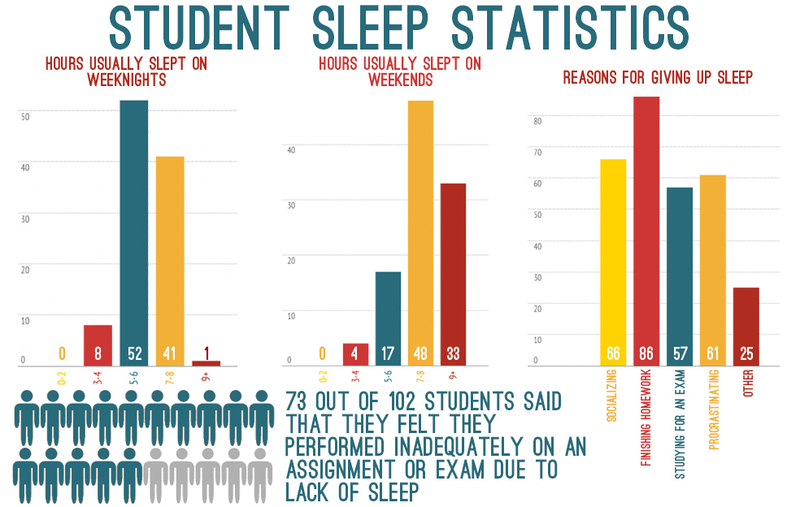 http://web.csulb.edu/~atesoro/effects_of_sleep.pdf – A study on the link between sleep deprivation and academic success by Andriana Tesoro, California State University. https://www.ncbi.nlm.nih.gov/pmc/articles/PMC4571043/ – A study on the connection between sleep duration, quality, and academic performance among student pharmacists by Megan L. Zeek, Matthew J. Savoie, Matthew Song, Leanna M. Kennemur, Jingjing Qian, Paul W. Jungnickel, and Salisa C. Westrick, Auburn University Harrison School of Pharmacy, Auburn, Alabama. http://jcsm.aasm.org/ViewAbstract.aspx?pid=29834&_ga=2.65614190.1713074689.1544085933-1098854395.1544085933 – The effect of insufficient sleep on academic performance in adolescents. 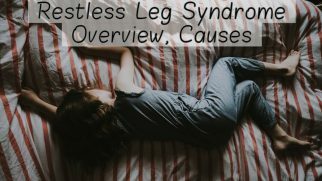 The Behaviorally Induced Insufficient Sleep Syndrome. By Yu Jin Lee, MD, Ph.D.; Juhyun Park, MA; Soohyun Kim, MA; Seong-Jin Cho, MD, Ph.D.; Seog Ju Kim, MD, Ph.D.
https://www.ncbi.nlm.nih.gov/pubmed/29787701 – A study on the sleep quality and academic performance with the Internet use as a major contributive factor (by Adelantado-Renau M., Diez-Fernandez A., Beltran-Valls MR., Soriano-Maldonado A., Moliner-Urdiales D.). https://www.sleephealthfoundation.org.au/public-information/fact-sheets-a-z/good-sleep-habits.html – Helpful tips on a healthy sleep regimen by the Sleep Health Foundation.